SAN FRANCISCO — Apple is trying to have another iPod experience. The company was not the first to create a digital music player when it introduced the iPod 13 years ago. But the device, with its click wheel and slick integration with the iTunes software that ran on a computer, took digital music into the mainstream. Nor will Apple be the first to introduce a so-called smartwatch when it unveils its much-anticipated wristband device on Tuesday, along with two iPhones. But if the company gets it right, it could be the first to make average people want to buy one of these devices. Wearable computers — attached to a wrist, a belt, a lapel or even a head — have so far been the property of serious gadget enthusiasts and calorie-counting fitness buffs. While a lot of attention has been paid to Google Glass, for example, the computer-in-eyewear is as well-known for the privacy controversy it has caused as for its technical trailblazing. Smartwatches have not fared much better. 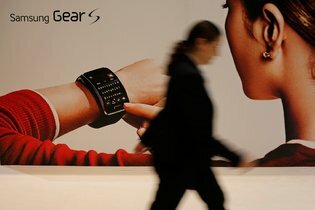 Samsung, Apple’s biggest rival, introduced the first of its six smartwatches last year with a commercial that recounted watches that have appeared in science fiction entertainment, from “The Jetsons” to “Star Trek.” A long list of other tech companies like Motorola and LG have also introduced smartwatches, but none of them have been anywhere near as popular as the movies and television shows featured in the Samsung ad. Has that left an opening for Apple with the product that the media has labeled the iWatch? Perhaps, analysts say, if the company can court partners in other industries like health care — health monitoring is believed to be a major feature — as cleverly as it courted the music industry. Apple, based in Cupertino, Calif., spent years negotiating with the music industry to get music sold legally on iTunes, which happened two years after the iPod went on sale. “I believe they’ve been doing that with the health market,” said Tim Bajarin, an analyst for the firm Creative Strategies. Not everyone thinks everyday consumers will embrace smartwatches just because Apple is making one. Jan Dawson, an independent technology analyst for Jackdaw Research, conducted surveys with thousands of consumers and found that interest in some of the features in smartwatches, like fitness tracking and mobile payments, was low. “Smartwatches, as they currently stand, are trying to meet needs which most people simply don’t have,” Mr. Dawson said. Little is publicly known about what exactly the Apple watch will do other than track some fitness statistics, make wireless payments and handle some mobile computing tasks like maps. “I’m hoping it’s something more akin to at least one of the high-end fashion watches, something you wouldn’t be ashamed to go to the Oscars with,” said Carl Howe, an analyst for the research firm the Yankee Group. The people who created the watch have been described by Apple employees as an “all-star team.” Apple’s top designers and engineers who worked on its iPhone, iPad and Macs are all part of it, several Apple employees said. 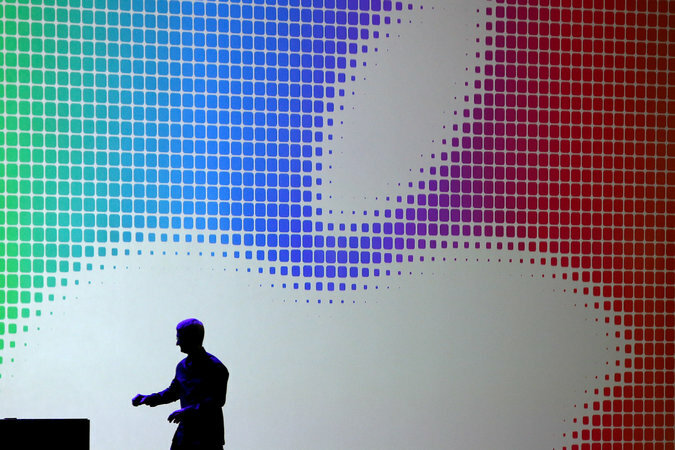 And important Apple executives have been closely supervising the product, employees say. Among them are Jeff Williams, Apple’s senior vice president of operations, and Jonathan Ive, Apple’s head of design. Other key players include Kevin Lynch, formerly chief technology officer of Adobe, who has been supervising the watch’s software; Jay Blahnik, a fitness consultant who worked on Nike’s FuelBand device; and Michael O’Reilly, a former chief medical officer of the Masimo Corporation, a company based in Irvine, Calif., that makes devices for monitoring patients. Apple designs both the hardware and software of its products, which gives it deeper control than its rivals over things like chip design, battery life and smarter sensors for monitoring the wearer, said Daniel Matte, an analyst for the research firm Canalys. But making the product is just the first step. Apple needs the support of partners, like app developers, health care companies and medical technology companies, that will help create the functions that give people a reason to want to wear a computer around their wrist all the time in the first place, said Mark A. McAndrew, a partner with the law firm Taft Stettinius & Hollister, which works with health and science clients. Lining up deals with music labels and persuading them to agree to a charge of 99 cents a song on iTunes was one of the reasons the iPod became popular, say analysts. While the device itself was easy to use, it became a gateway to a music catalog that at the time none of Apple’s competitors could offer. But patient privacy, which is closely guarded by the Health Insurance Portability and Accountability Act, could be a tricky issue for Apple, Mr. McAndrew said. Apple will have to carefully police any health-related apps to ensure that sensitive patient information is not accessible in any way to hackers, he said. Apple has taken some steps to keep health data private. Last week, it updated its guidelines for app developers, which state that apps working with HealthKit, Apple’s new set of tools for tracking fitness and health statistics, were not allowed to store data on iCloud, among other rules. Mr. Bajarin of Creative Strategies believes Apple has been quietly working with many partners in the health industry to prepare for its health-monitoring watch. This year, when Apple introduced its new health-tracking tool kit, the company said it had been working closely with the Mayo Clinic and Epic Systems, a health care software company. Improving health monitoring could be something of a personal mission for Apple. In the Walter Isaacson biography of Steven P. Jobs, an anecdote about the late Apple chief recounted his hatred for the design of some of the health-monitoring devices being used on him in the hospital where he was being treated for cancer, like masks and the oxygen monitor on his finger.